Smartphones have changed photography, there’s no denying that. Whether that change is a good or bad thing depends on who you’re talking to, but we definitely fall into the category of iPhoneography and Instagram fans. That’s why, when we spotted this Kickstarter project for a pretty cool iPhone app, we couldn’t help but get excited. The Revolution Mosaic App is a yet to be created iPhone app which will bring together 360,000 photos to be stitched together into one large mosaic. When the revolution begins, and the app launches, it will display an empty white space at first. 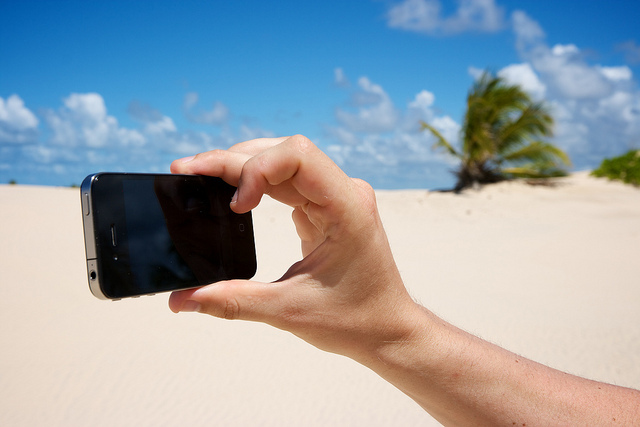 It will be up to mobile users like you to fill that white space with photos from your phone. When you upload a photo, it will appear as a tiny dot in the white space of your screen. 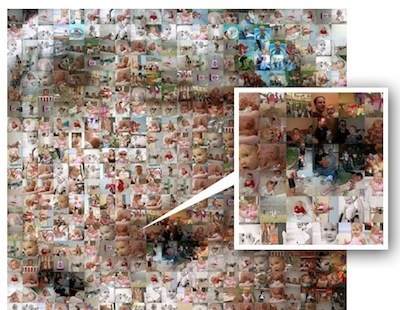 Everyday, as users from around the world keep uploading photos, the number of dots will increase until a mosaic begins to form. At any time, you can pinch and zoom into the mosaic like a map, and clearly see the tiny photos that make up the larger mosaic. What’s really cool about the project is that not only is the final image going to be composed of crowdsourced images submitted through the app, that one main photo will also be chosen from the submissions, selected based on its depiction of the mobile generation. The final mosaic will be available for purchase through the app and the official website as a 48″ by 72″ poster. Some photos have changed the world forever. I’m sure the photographers of all these photos had no idea how much impact they were about to make when they gently pressed the button on their camera….I have no doubt that in future generations, many iconic images will come to change the world, and many of these images will be captured on mobile phones. Those visionary photographers that I admire, well, they could be any one of us. We all have this powerful tool in our pockets, and it only takes a gentle tap to take a photo, to capture a moment, and to share our perspective to the world. So let’s turn that tap into a tidal wave. Let’s make that first iconic image from our generation be a collection of all our perspectives joined together. The Kickstarter project is a modest one, aiming to raise $2012 – no doubt partly a symbolic figure for this year – and the app should be available by May.